A few months ago, it was as if everybody wanted to be Charlie (Hebdo). This gesture was laudable enough (if not always credible), but who wants to be Edward Snowden? After two years, the world's most important whistleblower is still in Moscow. His chances of returning to a normal life remain slim, in spite of the recent ruling in the US Court of Appeals that the NSA's storage of telephone metadata is indeed illegal. Western politicians confronted with the Snowden affair typically respond in a vague and equivocal way. If pressed, they might say that their country does not condone mass surveillance, perhaps adding that it is not in their mandate to engage directly with Snowden's situation. However, they are wrong on both counts. Just as they criticise rights violations in other countries, they can and should support Snowden, especially now that a high legal authority in the US has indirectly confirmed that he was right to blow the whistle. Moreover, objectionable forms of surveillance do take place, if not on the same scale as in the US, in European countries as well. Bjørnstjerne Bjørnson ca. 1903. Public domain / the National Library of Norway. In the press release sent to the Norwegian media, we explained that Snowden's interventions did not just concern personal integrity and illegitimate state power, but were also directly relevant to our freedom of expression. If everything that is written or spoken can potentially be traced and stored by the political authorities, the free exchange of ideas will suffer, owing to possible sanctions from the state. 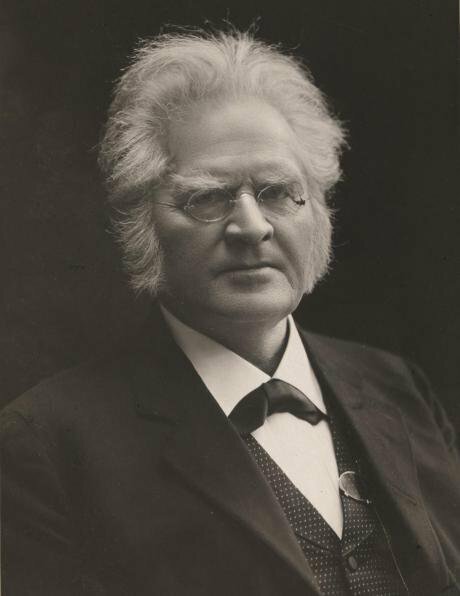 Threats to the freedom of expression may have been more visible in Bjørnson's day, but they were less insidious and ubiquitous than today. Both government parties have for years (not least in recent debates concerning Muslims and Islam) been staunch defenders of freedom of expression. The populist Progress Party has also always been critical of the state's tendency to undue interfernce in the lives of citizens. Unfortunately, so far only politicians from the Socialist Left (SV) have supported our demand. The government has not yet responded to our letter, but it was only sent on 1 June. We are optimistic for now, hoping that the Norwegian government will confirm loud and clear that it is uncompromising in its support of freedom of expression and citizens' personal integrity, and that it will not let its relationship with other countries stand in the way of the fundamental principles of democracy.